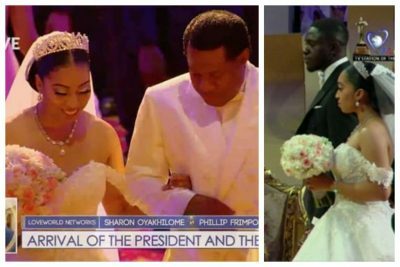 Pastor Chris Oyakhilome’s daughter, Sharon Oyakhilome and Phillip Frimpong had their white wedding earlier today, and here are photos from the event. Israeli televangelist, Toufik Benedictus “Benny” Hinn handled the nuptials and also gave a sermon to the newly wedded after. 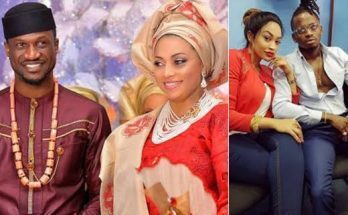 Sharon Oyakhilome, one of the daughters of popular pastor, Chris Oyakhilome, two days back got married traditionally to her Ghanaian fiance, Phillip Frimpong. Members of Christ Embassy, including popular singer Sinach, were present at the lavish affair.